A yurvedic Body Therapies at New Leaf Ayurveda are unlike any you may have experienced. 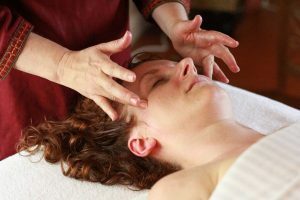 More than massage, more than a modality, they are a coming together of healing intention, technical knowledge, results-focused technique, a profound understanding of the nervous system, a highly sophisticated apothecary, decades of experience, and LOVE. Ayurvedic massage can be considered a re-parenting of the cells of the body, giving you the love and nurturing that is necessary for true healing. These therapies put into motion a trajectory of improved detoxification and regenerative factors, and often the effects can be felt months into the future. One body therapy can be a game-changer for chronic conditions and stubborn symptoms. We offer more than 30 separate Ayurvedic therapies; the foundation of these is our standard 75 minute Abhyanga (oil massage). 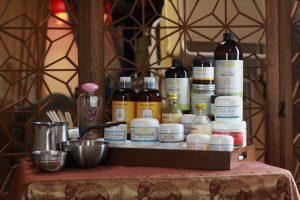 With most therapies, pulse-read, foot washing, head massage, full-body Abhyanga (oiling), aromatherapy and rosewater eye soak are standard. We always incorporate the goals of your current health assessment to ensure maximum efficacy, and to get you RESULTS! Preparing for your appointment will not only improve your experience, but also the therapy’s efficacy. – Eat lite. Soups and soft-cooked veggies or Kichadi should be taken on the day of, and at least 1 day following. – Hydrate well. Drink at least 3 Quarts of water with lemon throughout the day of your massage. – Clear your schedule. Our job is to set the stage for a deep reset, and you will serve the process by creating space in your life for this to occur. – Plan to be very oily, including your head. At this therapeutic level of oil application, we often apply 2-3 layers of herbal oil, hence the term “Oil Bath”. Choose your clothes accordingly. – Plan to keep covered-up and warm. Especially in the cooler months, this is a must. Wear loose, soft, full pants and shirt. – It is recommended to leave the oils on your body for at least 2 hours post-session, and on the head until the following day. Pancha Karma clients will be asked to leave the oil on their head for the entire duration of the multi-day process. – Optimal bowel function is a must after receiving Ayurvedic therapies. In fact, your practitioner may recommend a gentle herbal laxative following your sessions. Whatever we move, we must remove. Please consult your technician for specific supports, if needed. T Traditional Ayurvedic massage focuses on the lymphatic and central nervous systems. Our Maharishi lineage teaches us that the central nervous system function, and its coordination with the body, is essential for our health and happiness. The Two-person Abhyanga, with therapists mirroring each other’s every stroke, short-circuits the thinking mind and gives a chance for the central nervous system to reset. The lymphatic system is the largest organ of detoxification, and sits directly beneath the surface of the skin. 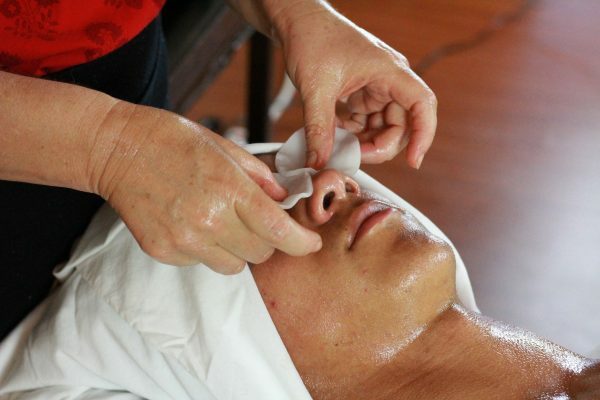 By both therapists pushing the tissues in unison and driving the toxins back towards the eliminative organs, we strategically support waste removal and deep rest at the same time. This can profoundly change the trajectory of deep-rooted imbalance and stress factors immediately. Simply put, more hands means more is accomplished. Your massage can be upgraded by increasing the session time, or by adding therapeutics. Every session requires assessment, which means we will determine additional therapeutics at the time of your appointment or add on will be recommended by your practitioner. Deep tissue and Myofacial release – for structural misalignments and adhesions. What is Pancha Karma at New Leaf Ayurveda? 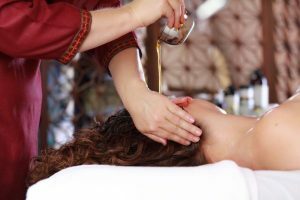 Pancha Karma at New Leaf Ayurveda is a therapeutic process of 3, 5, 7 or 10 consecutive days of Ayurvedic body therapies, managed by an Ayurvedic practitioner and certified Massage Therapist with clinical Ayurveda experience and New Leaf training. At New Leaf, we use Pancha Karma as a way out of an endless loop of chronic symptoms, or when we want to give a strong intervention. 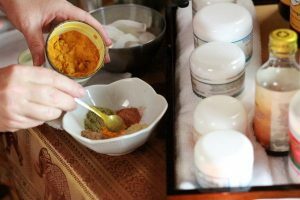 Combining powerful Ayurvedic Therapeutics with consecutive days of care is often a game-changer. By dynamizing all detoxification and elimination systems, while also improving central nervous system coordination and nutrient assimilation, we can begin to reverse deep-rooted imbalance and dis-ease. In order for this high-level, complex and strong therapy to have the desired results, proper preparation (Purva Karma) is a must, along with careful evaluation before, during, and after. A general rule we follow at New Leaf is, for each day of therapies, 1 week of preparatory diet and self-care practices (i.e. 3 Days PK = 3 weeks prep). Also, a 30 day post-Pancha Karma program must be followed as well. These are the 5 primary avenues of elimination. In the United States, very few of us have the advanced training to perform all of these, and we are not allowed to practice Vamana and blood-letting per our U.S. health codes. So, if we can only do 3 of the 5 actions, and we are not Doctors of Ayurveda, then what ARE we doing? And is it safe, or even effective? Pancha Karma (PK), even in its abbreviated form, is actually a very useful and potentially powerful process. However, if it is not done with careful oversight and follow-up, it should not be performed at all. At New Leaf Ayurveda, we follow specific rules without exception. 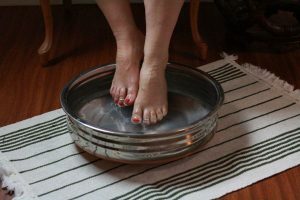 For example, we have been trained to prepare the “channels” for safe removal of toxins, requiring Marma therapy (activation of specific points, giving us access to the subtle channels) to be performed daily during our treatments and at home. We understand that these therapies potentially displace nasty toxins, like heavy metals and bio-waste, and for your safety we do not move more than we think we can remove. This important understanding has led us to a PK process that is shorter in duration, giving us time to bind and remove the displaced toxins before proceeding. Our shorter-duration PK’s have proven to be safe AND effective, both in the short and long-term. This more sustainable and repeatable model provides results, and follows the rules of our lineages. 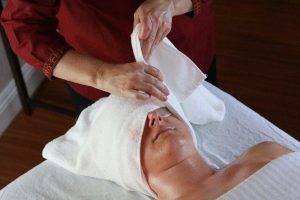 Our professional team of massage therapists and specialists has trained under New Leaf Ayurveda’s Nicole Wilkerson in an intensive clinical apprenticeship. Each practitioner has massage licensing, but perhaps more importantly, has dedicated themselves to be a results-driven Ayurvedic massage therapist. Within our group we have skills that exceed those of most massage practices. These highly-trained and dedicated therapists welcome you to experience New Leaf Ayurveda’s top-down therapeutic services. Why would I do a Pancha Karma? Nothing is more potent for a fast-acting result than consecutive days of Ayurvedic Therapeutics. If the diet is in place, and the assessment and oversight are correct, then leaps of positive change in your health can be made in a very short period of time. These treatments pack 4-8 separate therapeutics into a single day of PK. Working with 2 well-trained and astute PK technicians, you will be receiving double the care in the same amount of time. A typical day of PK would include Abhyanga (hot oil massage), Marma (Diffuse Nervous System Therapy), Udvartana (detoxifying herbal paste), Nasya (Nasal Expectoration) and herbal Basti (Enema). After 3 or 5 consecutive days of this, you will be a different person, and closer to your best health! A Pancha Karma day begins with a pulse-read and evaluation from Nicole Wilkerson or our lead technician for the day. Once real-time data has been collected, we determine the goals, therapeutics and medicated oils. You will have plenty of time to slip into your robe and have a foot-soak and meditation, while we set up all our tools for the treatment ahead. Pure herbally-medicated oils from Kerala, India, Transdermal Marma Creams from Chandika, pure organic Bulgarian rose water, small-batch herbal ghees, organic base-oils and dry herbs from Banyan Botanicals, and many other high-quality food and herb-based therapeutics will be used. Kitcheri (delicious spiced gruel of rice, Dahl and vegetables) will be served afterwards. Currently, New Leaf performs more than 30 different PK therapies; for our India trips, over 70 therapies will be available.